Y-5 local northbound. "All-door" car ahead of caboose is a "high" car too high for the Bellows Falls Tunnel, therefore routed via the Northern (Cheshire Branch was embargoed by this time). 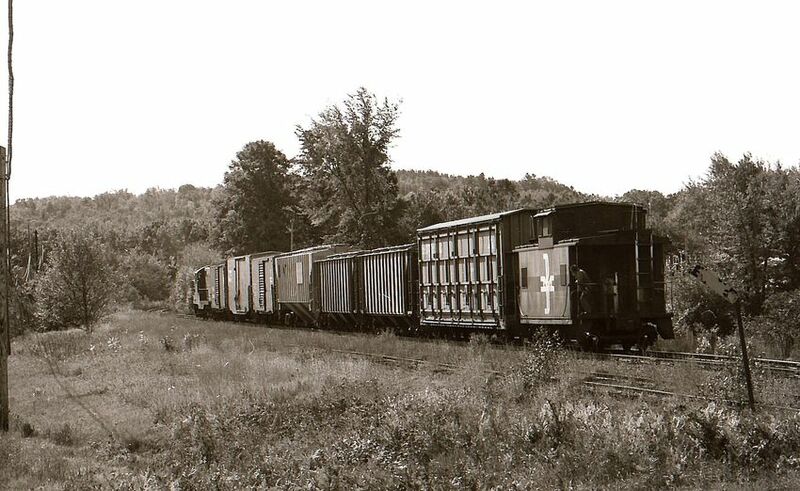 Passing siding at Halcyon had an 87 car capacity.